One man, Solly Mont, knows what is coming. He knows how to rebuild from the ashes, and he can see where mankind needs to be led to prevent this from happening again. He’s done it before, after all. His wife, Titiana—the abdicated Queen of Faery, and now the keeper of The Beller Inn, the finest bar and restaurant in all of the Outrealms–fetches him home to celebrate their anniversary. His gift to her is the unabridged story of his life, aided by his unparalleled skill in the power of Storyweaving—mankind’s mightiest magic. Solly’s story is an exploration of the experiences common to humanity through the eyes of one immortal man. 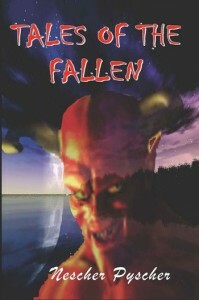 Tales of the Fallen, is available as a free Kindle download from Amazon from 05/05/2014 -05/06/2014. As of this writing, the book has an average of 4.3 out of 5 stars from 10 reviewers. For more free eBooks, check out our 10 Websites to Download Free eBooks list, as well as our Free eBook of the Day archive.